Visitors to Anchor Brewing, be sure and have a look to your right as you enter our taproom (since it’s far away from the beer taps, this corner of the room is often overlooked!). On the wall you’ll see some rare photos by Bill Brach, who has been hailed by rock-and-roll historian Hank Harrison as “one of the most brilliant photographers to emerge from the Haight-Ashbury experience.” They forever freeze an important moment in the tale of Chet Helms (born August 2, 1942), Big Brother & the Holding Company, Janis Joplin, and Anchor Brewing. I met Chet Helms in the 1990s, when his longtime friend Fritz Maytag and I were discussing the possibility of collaborating on a Family Dog beer. I still get chills when I think about Friday, June 24, 2005. Late that afternoon I left Chet a phone message to let him know about the photos of Janis and Big Brother that we were about to put on display in our taproom. On Monday the 27th I learned that he had passed away on Saturday, June 25. Chester Leo Helms came to San Francisco after dropping out of the University of Texas in 1961. 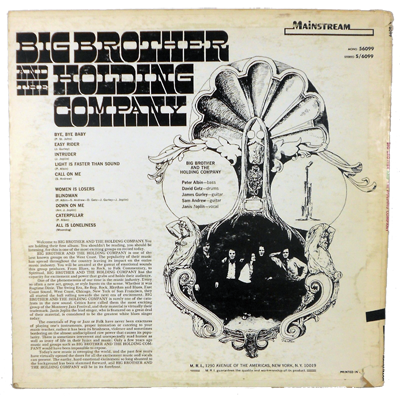 In 1965, the same year Fritz bought the Brewery, Big Brother & the Holding Company got its start, jamming in the basement of the old Haight-Ashbury mansion where Chet and many others made their bohemian home. 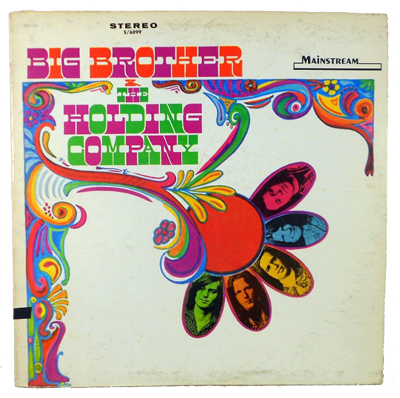 In 1966, as Big Brother’s manager, Chet invited his Port Arthur, Texas–born friend Janis Lyn Joplin (January 19, 1943–October 4, 1970) to return to San Francisco to join the band. His Family Dog production company sponsored their first concert together, June 10, 1966, at the Avalon Ballroom. In an old Anchor scrapbook is a picture of Janis and Big Brother at the bar of our old Brewery on 8th Street. No one at Anchor knew that it was Bill Brach who had taken that photo—let alone several dozen others of the band at the Brewery—until a friend of Bill’s contacted me about them. Bill was kind enough to show us the rest, from which Fritz and I selected four. Bill printed them and signed them for us. 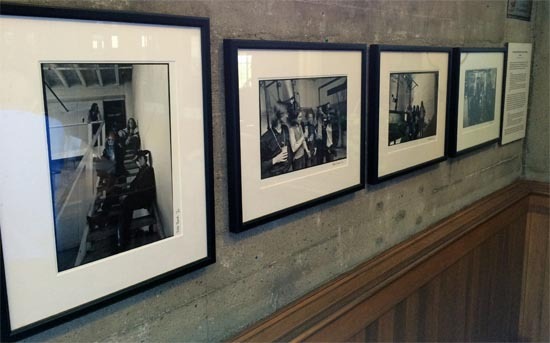 We framed them, and they’ve been in the taproom ever since (no, they are not for sale). These rare photos evoke a marvelous era in San Francisco rock—and brewing—history. If you aren’t already listening to Janis with Big Brother, get that old record or CD out now! 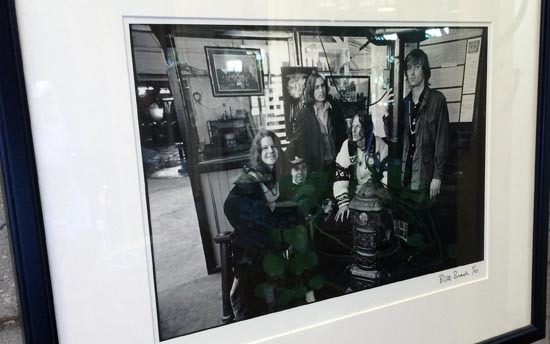 Janis Joplin and Big Brother & the Holding Company at Anchor Brewing, 1966. The band members (so young) relaxing by the potbelly stove in the old taproom are (left to right) Janis, Dave Getz, Peter Albin, James Gurley, and Sam Andrew. Photo by Bill Brach. Dave Burkhart and Peter Albin at Anchor today. 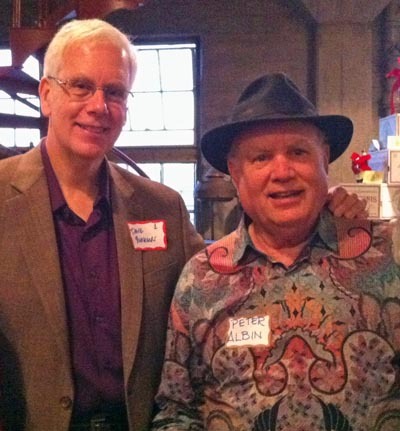 I knew Bill Brach in the early 80’s when he still lived in the City before moving to Santa Rosa. We kept in touch and I visited him in New Mexico this past summer, where he lives south of Albuquerque. Really was a great photographer.